Caused by a fungus infection. 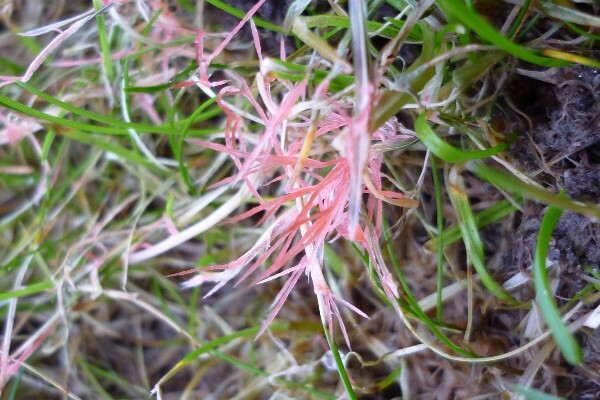 It is probably the most common turf disease to affect residential lawns. 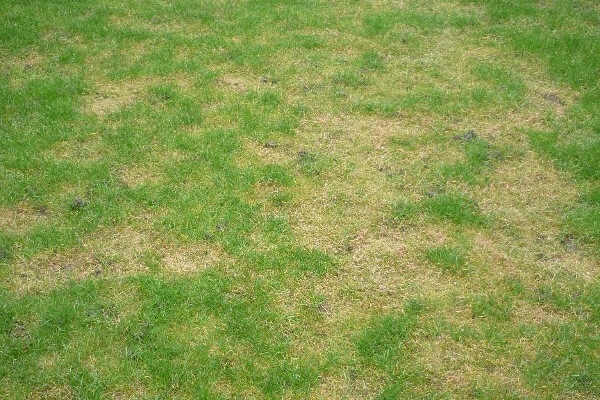 If left to multiply it can cause extensive damage to your lawn by leaving dead looking patches of grass. It can appear at any time of year, but summer and autumn are often the times when it is most active. This may be achieved by an application of fertiliser at the first signs of the disease. Also improving drainage (aeration) and removal of thatch (scarification) will help to remove the conditions it likes. If infection is heavy, then an application of a special fungicide will be needed. Infected grasses will then be removed by mowing so as to allow healthy grasses to grow again.